SilverKey Executive Stays 20009 Gachibowli is an exquisite and fancy property located in White Fern, Chhota Anjaiah Nagar, Gachibowli, Hyderabad. 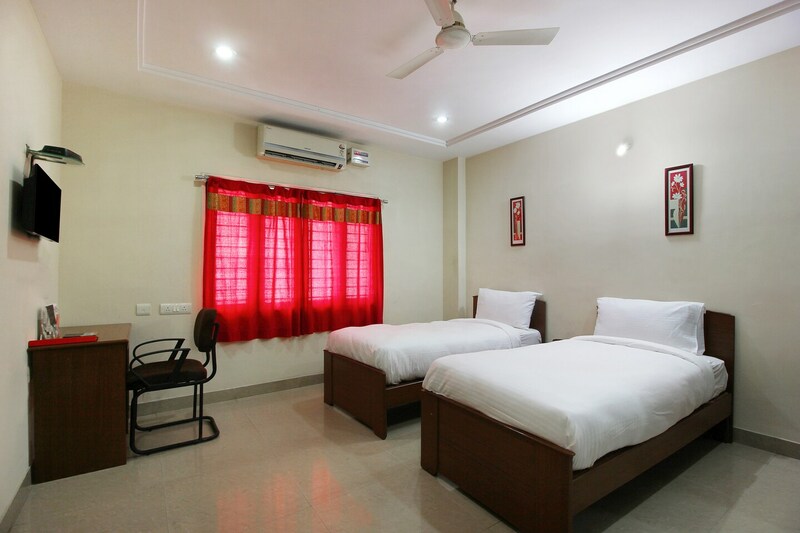 The famous tourist spot in the vicinity is Shilparamam.The rooms are spacious and well lit. The decor is fancy and exquisite. The rooms are fully furnished with all the modern comforts for the convenience of the guests.The rooms are equipped with free Wi-Fi, AC, TV, and geyser. The hotel also has an elevator, seating area, and parking facility.There are multiple Restaurants in the vicinity namely Eatsome, Devour, Wich Please, Pepper Trail, and Tempteys.